Enter the Gungeon, was released for the PC and PS4 during 2016. Which had been a favorite of mine when it released. Sadly, this gem wasn’t released onto the Xbox One, so those gamers weren’t able to sample its greatness. 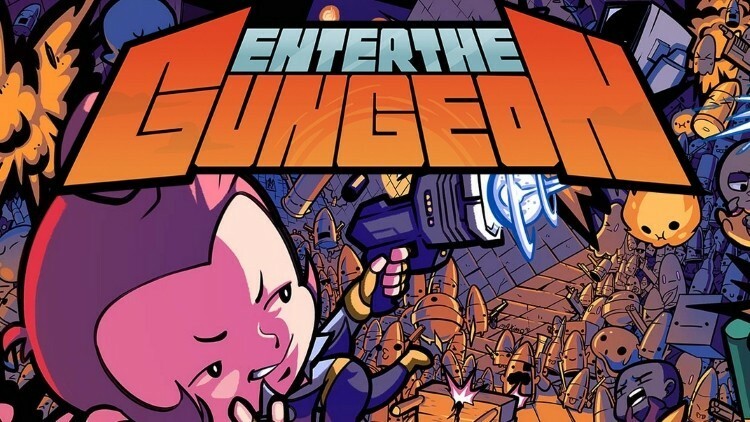 That’s all about to change as Dodge Roll has announced Enter the Gungeon for Xbox One. The game will be released for the on April 5th. In addition, the release will include the Supply Drop DLC and support Xbox Play Anywhere. We’re thrilled to announce Enter the Gungeon, our bullet hell dungeon crawler, will finally release for Xbox One and Windows 10 on April 5 with Xbox Play Anywhere cross-save and cross-buy support. I want to take a moment to thank the passionate gamers in the Xbox community that continued to show enthusiasm for our game along the way. So get ready for a treat as you’ll be able to play one of the indie games of 2016. Be sure to check out Enter the Gungeon when it drops on April 7th, 2017. Check out our review of it here. Go get your guns on!